An entrée looking to impress – our recipe for Stuffed dates with blue cheese, walnuts and pear packs big flavour in limited space. Perfectly bite-sized, perfectly suited for any occasion, they prove their worth in depth of flavour and even texture as roasted walnuts and crescent-cut pear deliver their input. Remove the stones from the dates and stuff with Creamy Blue. 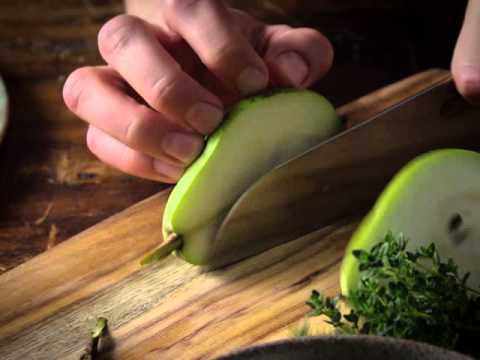 Cut one pear into thin slices and put a slice in each of the dates. Toast the walnuts in a dry pan over a moderate heat until lightly brown. Garnish the dates with walnuts and fresh thyme and serve.